We all spend a lot of time and efforts in finding a perfect TV for entertainment. But, have you ever wondered installing it right way is equally important? It is absolutely true that nothing can provide you more entertainment than high quality flat screen TV, but if it is not mounted correctly you cannot have the same fun and enjoyment. We, at AV Geeks offer comprehensive and professional TV wall mounting services in Ottawa and the surrounding suburbs. We are committed to provide installation services for any size of flat screen TV in walls. With our immense experience of wall mounting you can be assured that your TV will be secure, safe and drilled properly in the walls of your bedroom or living area. How we mount your TVs in walls? 5. The team at AV Geeks is one of the best TV mounting teams in Ottawa. 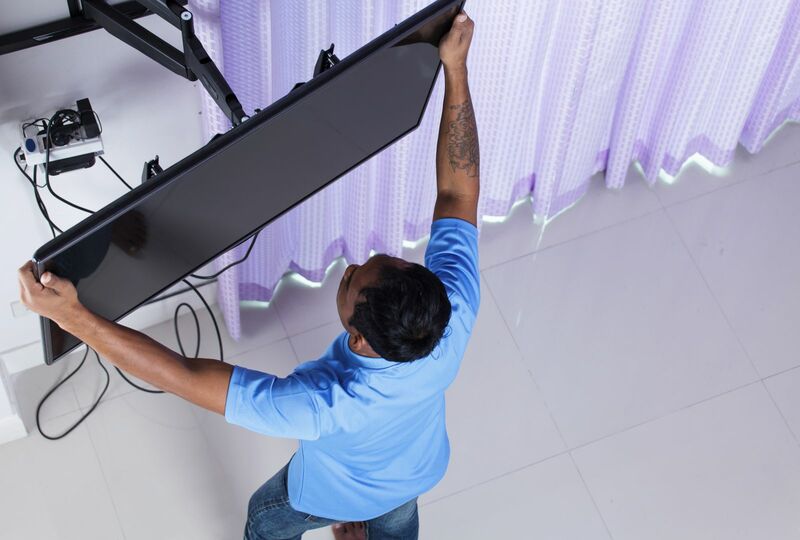 So, if you are in need of TV mounting services, then we are just a phone call away in giving you a better viewing experience of your favorite TV shows and movies.